January 14, 2016 & filed under How to Build a Racehorse. 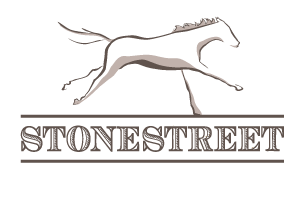 12 Days of a Stonestreet Christmas! December 25, 2015 & filed under News Release. December 22, 2015 & filed under How to Build a Racehorse. December 11, 2015 & filed under How to Build a Racehorse. November 25, 2015 & filed under How to Build a Racehorse. September 23, 2015 & filed under News Release. September 17, 2015 & filed under How to Build a Racehorse. August 27, 2015 & filed under How to Build a Racehorse. August 13, 2015 & filed under How to Build a Racehorse.